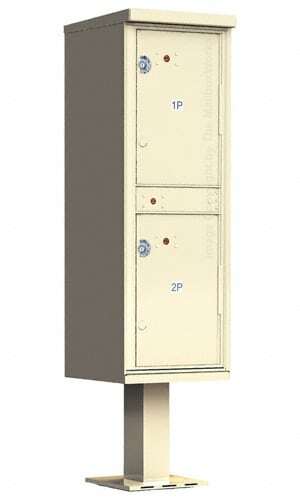 With these CBU Commercial Mailboxes you get the convenience of a free-standing outdoor 12 door cluster mailbox column mount unit that comes with 1 parcel locker and a highly secure outgoing mail collection slot. All this tucked inside an attractive decorative stucco column that blends with your neighborhood design. 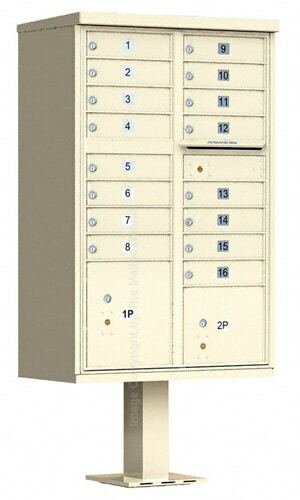 Widely used across the US for safe and secure centralized mail delivery, these decorative CBU mailboxes can be placed throughout a neighborhood or grouped together for one large centralized mail center. 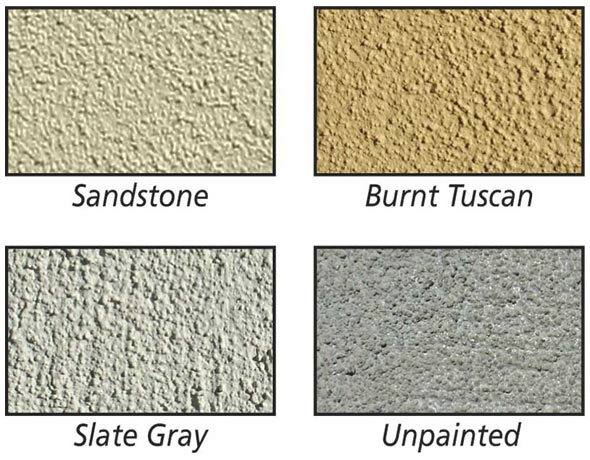 Choose from 3 paint options (Sandstone, Burnt Tuscan or Slate Gray) or order a “Ready to Paint” mailbox column and finish it yourself. Neighborhood safety remains #1 with the Styrofoam core designed to crumble and absorb high impact accidents. 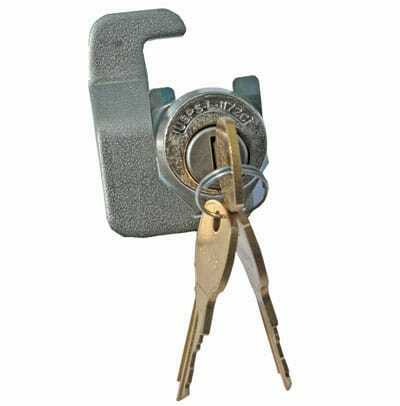 The Florence Manufacturing design includes heavy-duty 5-pin cylinder cam locks (equipped with 3 mailbox keys) on tenant doors. 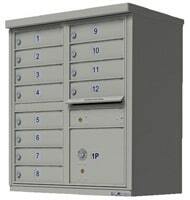 They also feature silver adhesive decals and an integrated solid aluminum outgoing mail compartment plus parcel delivery compartment. 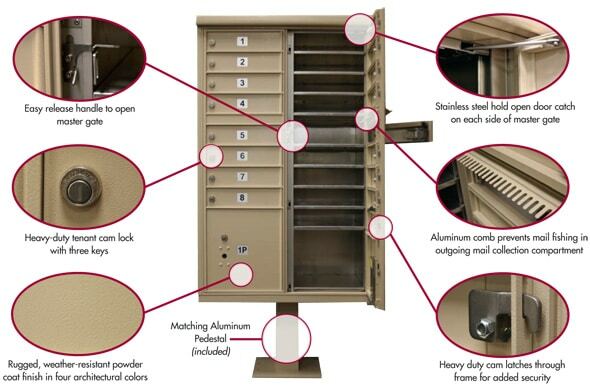 Arguably, these are the most secure CBU mailboxes on the market, featuring a robotically welded cabinet, hood seams, pry resistant master front-loading door, and 360 degree wrap around stainless steel hinges. 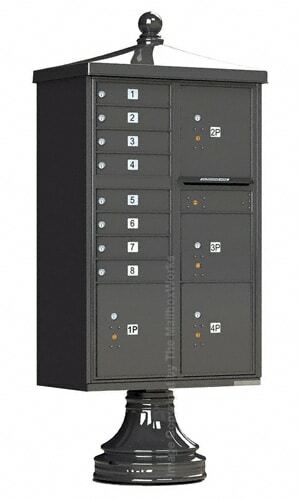 Rust-proof powder coat finishing resists damage from force and the elements. Custom Silver Decals can have up to six 7/8″ characters; USPS recommends up to 3 characters. 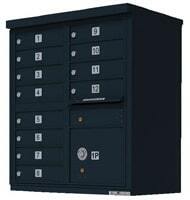 Custom engraving can have up to twelve 3/4″ characters and is available with black or white color fill options. 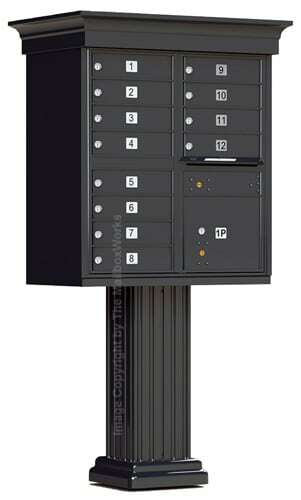 12 door cluster mailbox column mount units with Decorative Stucco Column Kits are non returnable. 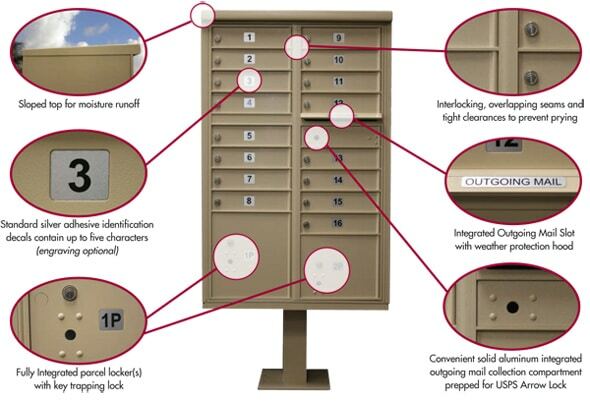 See below for installation instructions or ask us about professional column mount mailbox installation services. 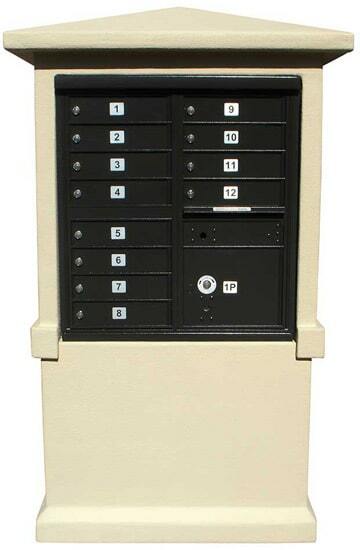 Let us help you with your CBU mailboxes purchase; call us or chat with a customer care rep if you have any questions.